Want your home to make a but not sure how to go about it? Landscaping the front yard can certainly be a daunting task, even without taking into account the added pressure that comes from needing to have great curb appeal. The good news is, there are no across-the-board “RIGHT” and “WRONG” ways of designing the . But there are guidelines that apply in general that are helpful in planning and designing the yard to maximize its appeal, both in your eyes and from the curb. Here are some, intentioned to guide you in making the best landscaping decisions for your lifestyle and your space. 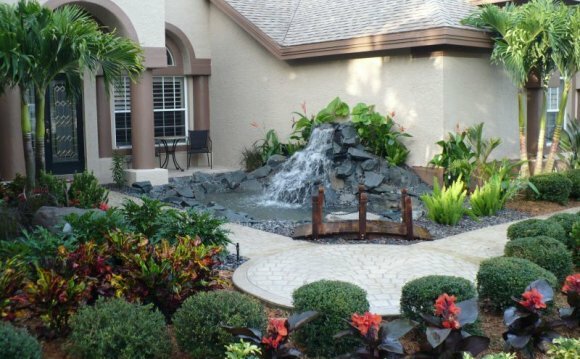 DON’T: Force a focal feature (for example, a large flower bed or water feature) where it doesn’t belong and looks out-of-place. Instead, let the layout of the land guide you. DO: Take your cues from the surrounding area for plant selection and then follow natural access patterns throughout your landscaping. DON’T: Use wandering, pointless curves in walkways. DO: Make pathways at least 36” (1 meter) wide. DON’T: Plant hedges or other plants too close to walkways. Doing so infringes on the comfortable space required when swinging arms, carrying packages, or other regular activities when walking up a path. Two feet of space is a good rule of thumb. DO: Use interesting textural and/or colorful elements for walkways, not plain stretches of concrete. DON’T: Make visitors guess where to walk or which door to come to; rather, make the entrance to your home clear and inviting. DO: Step out to the street to get a curbside vantage point of your house when planning. Curb appeal is not a made-up thing; in reality, it’s an important part of the overall value of your home. DON’T: Make steps narrower than the pathways they connect. DO: Consider the style of your house’s architecture and integrate that look and feel into the front yard landscape. DON’T: Use opposing landscaping looks (e.g., carefully clipped and manicured hedges vs. free-spirited patches of wildflowers) within the front yard; doing so will only make the other look out of place. DO: Keep landscaping elements in proportion with each other, using considerations of size, shape, color, texture, or other characteristics. DO: Keep the landscape design unified and relatively simple by using only enough variety to sustain bloom and add visual interest throughout the season. DON’T: Randomly stick trees into the ground and plan the rest of your front yard landscape around them. DO: Consider the view of and from the house, shade, balance, and harmony with other plants when mapping out where to plant trees. Oh, and DO map out where to plant trees. DON’T: Design your front yard landscape based simply on what the neighbors are doing or what the nearest home improvement store offers. DO: Determine how you and your family will use your front yard, what will bring you the most enjoyment, and make deliberate strides toward creating a beautiful yard that you will enjoy for years to come.